Here's what happens. I drag in my velocity layers one by one and map them (because velocity spread doesn't work). I then save the sample map. Then I do a mic merge and hit save again but all that happens is the mapping window is cleared. 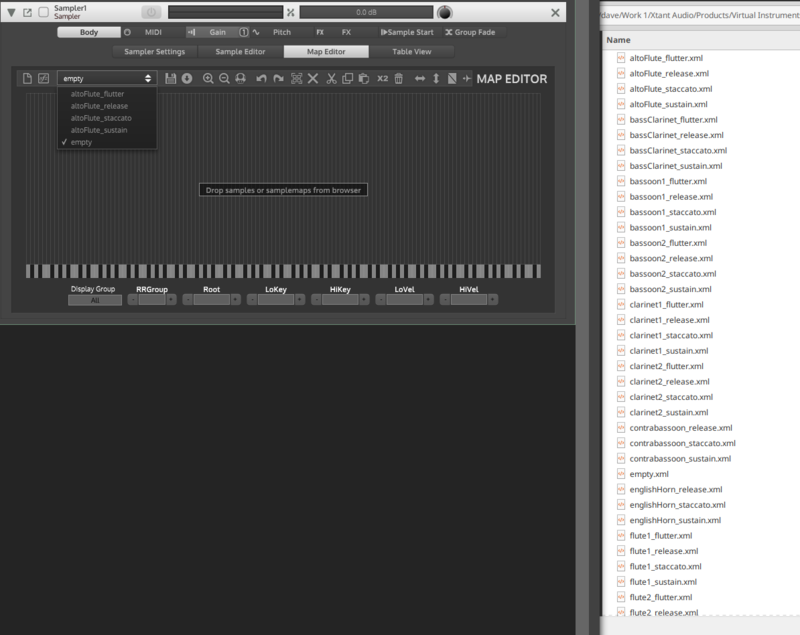 So I restart HISE, open the sample map and try and merge the mic positions again. This time HISE just closes. The sample map itself is weird. There is no ID set and there are no <file> tags. Bump bump. I hit this roadblock again with another project. I've done some more tests and it seems this issue was present pre HISE 2.0. It only happens when using multiple velocities per RR group and multiple mics. @d-healey I've hit some show stoppers with my AMD machine that don't exist with my INTEL. What are you running over there? @ustk Are you using a debug or release build? I don't even know the difference, could you quickly explain, please? I'm not 100% sure myself but sometimes stuff works in the debug version and not in the release version. The release version is more resource friendly though. I tried on my Laptop on Linux Mint 19 (same OS as my desktop) and had the same problem. Although I don't think this is related. I'll keep testing and try out some other builds. If I only use 1RR group then none of these messages occur. I just built the latest master branch and found a weird thing going on with sample maps (not related to the main issue of this thread I don't think). 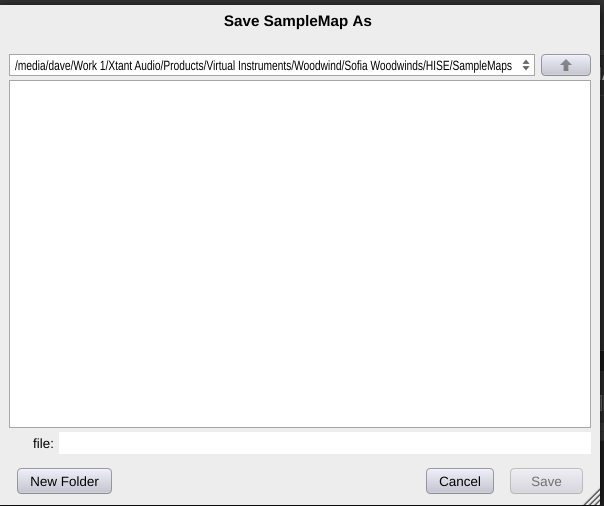 The drop down menu in the sampler to select a sample map only shows the currently loaded sample maps instead of all the sample maps that are available. @d-healey I have seen the same thing, and suddenly they appeared after manipulations I don't remember... are these sample maps created in this project or another one? @ustk They were created in this project. This only happens with a build from the master branch yesterday, I also have an earlier build and the problem is not present. Weird. Can you pin point it to a specific commit - just go back each commit, rebuild and see where it breaks? When I go to save the sample map after doing a mic merge (if HISE doesn't crash first). I get a weird file browser, not the usual one, and even though I type in a file name and hit save it doesn't save a file and just clears the sample map. I get the previous Assertion Failures in the terminal too.